01 Sep You’ve been in a car accident. Now what? The most important thing is to stay calm. Evaluate the situation, and if possible remove your car from traffic, but do not leave the scene. Fleeing the scene of a car accident can result in a hit-and-run charge which stays on your driving record up to eleven years, and could result in having your license suspended or revoked. The next step is to confirm that everyone is safe. Check on your passengers, the other driver, and their passengers to see if anyone is injured, and if need be, call 911 to report the car accident. If anyone is injured or killed, or if the property damage exceeds $1,000 Virginia law requires you to call the police. If it is a minor car accident, you can call the police non-emergency number. Richmond’s non-emergency number is 804-646-5100. The insurance company will use the police report to help determine fault, so you’ll want to be sure to call the police. Even if they don’t send an officer, you can stop by the police station to file a statement yourself, which can also be helpful for your insurer. You will want to be sure to take pictures at the scene. You can find more details on what to photograph and why here. One of the most important things to remember is not to admit fault. It can be difficult to determine who was at fault in the midst of all of the chaos after an accident, so it is best not to claim it yourself. That means do not apologize to the other driver, or incriminate yourself to the police. Your personal injury attorney and your insurance company specialize in determining fault, so leave that up to the pros. As soon as possible, give your insurance company a call. That way you can make a statement with your memories of the accident as fresh as possible, and many policies require you to call immediately after a car accident if you were at fault. If the other driver was at fault, it is possible to report the wreck to their insurer, but only report the wreck – do not give any statement or details! 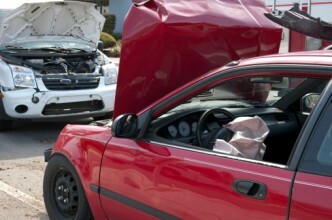 If you were injured in the accident, contact the Paullin Law Firm at 804-423-7423. We can work with your insurance company to get you the full settlement you deserve.